2) Prevent liquid commodities, like shampoo, hand washing, drug, cosmetic etc from being stolen. Supermarket, hypermarket, retail store, shampoo store, cosmetic store, drug store and so on. 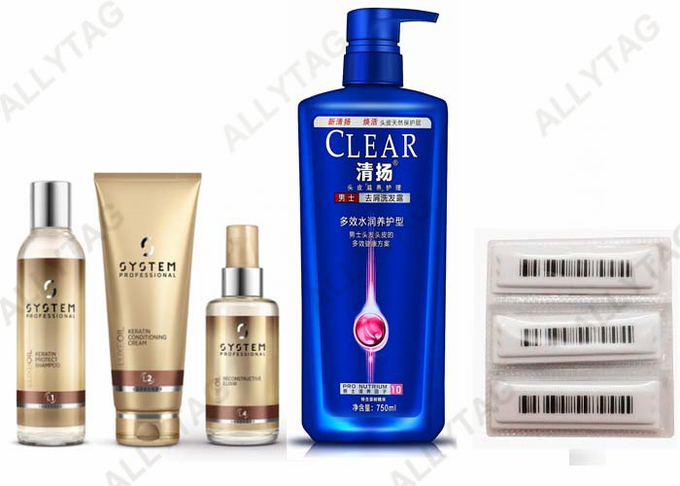 ​It's widely applied to shampoo, cosmetic or drug by putting the waterproof Eas security label into the package bottle for anti-shoplifting.